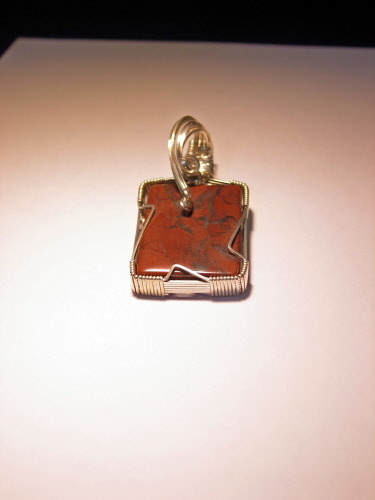 Jasper is an opaque rock of virtually any color stemming from the mineral content of the original sediments or ash. 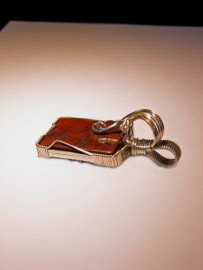 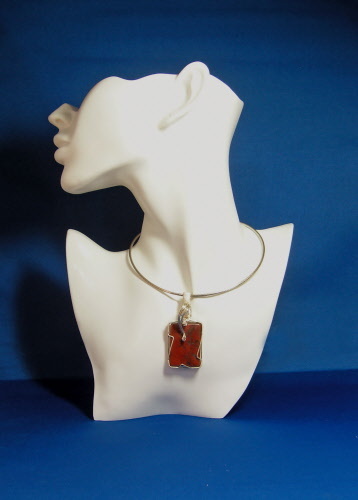 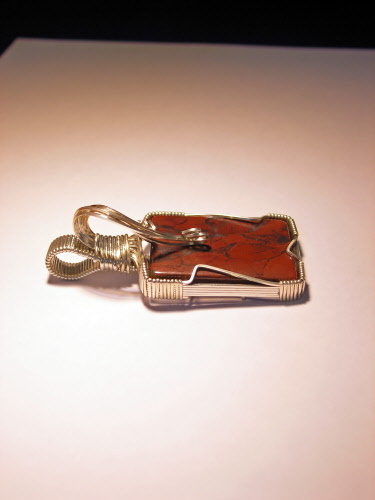 Healed, fragmented rock produces brecciated (broken) jasper which has been used for this pendant, measures 35 mm x 25 mm. Brick red in color. 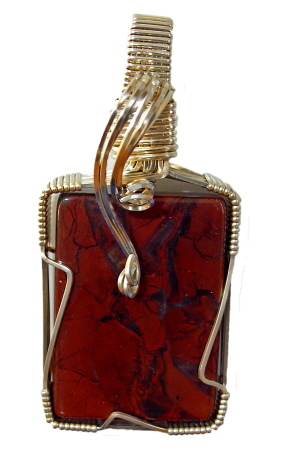 Wrapped in argentium wire. Finished size is 64 mm x 29 mm. 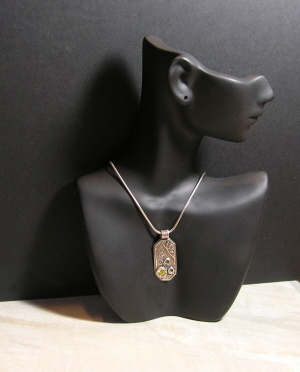 Weight 1.0 oz.